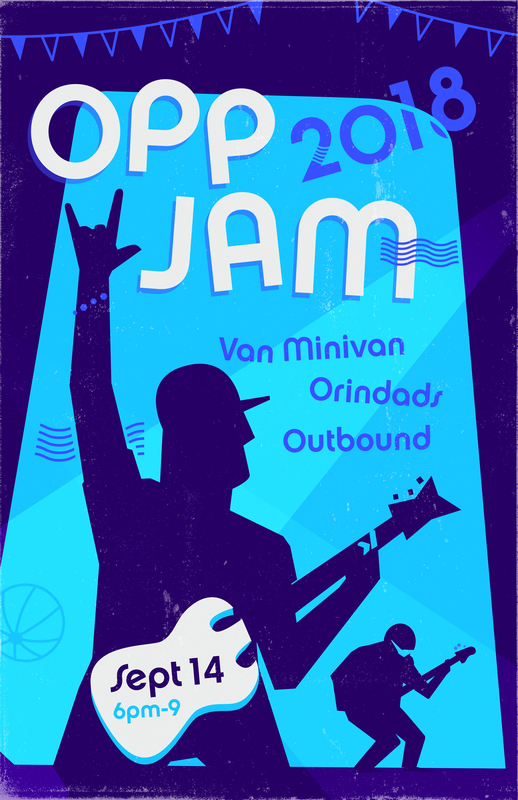 Orinda Park Pool - OPP Jam 2018! We have an amazing line up of 3 OPP members' bands. Outbound, a bluegrass band featuring OPP's Matt McAlear on Mandolin; Van Minivan, a rock cover band featuring OPP's Bruce Meier; and The Orindads, featuring and ALL OPP member lineup, with board president Jack Kelley on keyboards, Joe Meckes on guitar, Christian Stratton on bass and Kyle Mueller on drums. This is a night not to be missed! Dave will provide a delicious buffet dinner that can be purchased at The Cafe. Hope to rock out with you all!